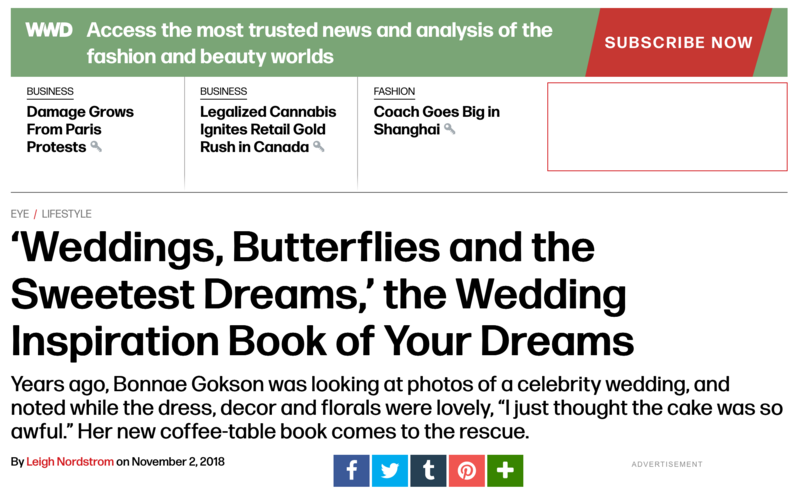 The weddings in her book range from more public weddings she’s admired, like the Duke and Duchess of Sussex’s, to those of her close friends — either those getting married, like Margherita Missoni, or those behind the dress, like Vera Wang. Though she toasted the book during bridal week in October with Vera Wang, she sees the book as having universal appeal beyond just brides. She worked in the fashion industry for many years, most recently as the regional director for Chanel Asia-Pacific. “After that, no more fashion. Oh my god. It’s serious hard work, you know?” she says. She embarked on a years-long sabbatical after leaving Chanel and then opened a restaurant and a cake shop. Her cakes, naturally, take heavy inspiration from her fashion background when it comes to their design. At its core, she hopes the book will be a source of escape for many.